The missionary work against leprosy in China took place against a tumultuous political backdrop of a century that included the Opium Wars (1839-1842 and 1856-1860), the Boxer Rebellion (1899-1901), the Taijin Massacre, the expulsion of foreigners, the First Sino-Japanese War (1894-5), the rise of the Kuomintang (KMT) or Nationalist Party (from 1912), Yuan Shikai’s bid to be Emperor (1915-1916), the death of Sun Yat-Sen (1925) and the rise of Chiang Kai-Shek as leader of the Nationalist Party, the sustained battle between the Nationalists and the Communist Party of China (1931-1945), and in the midst of that the Second Sino-Japanese War (1937-1945), the Long March and Mao’s proclamation of the Red Army victory in 1949. 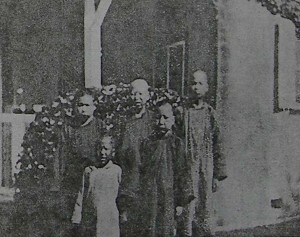 An early account, written in 1895, probably by Henry Fowler, tells of work at Siao Kan Leprosy Home, in Hupeh [now Hubei] Province, in Central China. It is difficult not to see the arrival of the missionaries as intrusive and condescending towards the Chinese inhabitants who have managed their daily lives irrespective of the medical missionary presence or not. Before this particular contingent, there had already been several previous interrupted visitations from other missionaries. 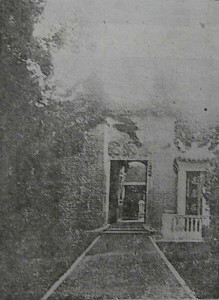 The first, Dr Griffith John, established the home in 1895, but after two years he had to return to England. The next, who was limited in his language abilities, did not stay for long and was soon moved further inland. On their return, while they persisted in modernising the asylum and in trying to convert the people, there seems to be more respect for 150 men and boys living in the asylum. The modernising project involved an extensive building program, decking the inmates out in “neat uniforms, dark blue for winter and white for summer”, and changing the wooden bedsteads to iron ones. The new respect is evident in the report of the thoughtful theological questions asked by the catechists and in the reports on reactions to addresses by visiting missionaries. The missionaries are unperturbed by the initial reactions of the inmates, whether they are either unresponsive or politely compliant. The people are allowed complete autonomy. When one visitor asked for a show of hands in response to his message about the new C E Society, he received an unqualified response. This was glossed as “Chinese politeness, but nothing came of it.” Then some time later, one of the leaders in the asylum brought a list of forty names of those who wanted to join. Once again, when the people were told about the Chinese Home Missionary Society outreach to Yunnan, there seemed to be interest, but no response. Yet in time, the people presented the mission with a significant sum of money that they had collected for missionary work for the Yunnan mission. 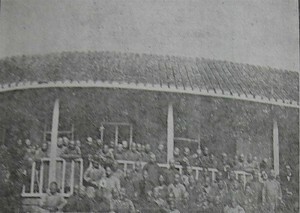 The Central China Post described the asylum at Siaokan in glowing terms. The overall impression is of a light-filled place: “perhaps if the sunlight had not been so brilliant and the breeze so fresh the Leprosy Hospital at Siaokan would not have appeared one of the bright and happy places of the world”. This exemplifies the enlightening effect of the schooling: “the greatest surprise of our visit was to find that there was a school room in the institution…”; and the development of the hospital, which had started from “a crude and small beginning”, but now “The brightness is the feature that strikes the visitor at the first gateway”. In keeping with the extended metaphor, Fowler’s work has been to “achieve perfect cleanliness” not only in the surroundings, but also amongst the people who had formerly been beggars, “redeemed from the hideous filth that is a part of the beggar’s profession”. These improvements have extended to the drainage and the water supply and the ventilation and protection from insects. Another prominent figure in medical missionary work in China, James Laidlaw Maxwell, the younger son of James Laidlaw Maxwell senior, became the executive secretary of the China Medical Association in 1923. At this time, Sun Yat Sen, who had received his medical education under James Cantlie, attempted to further the Republican cause. In 1927, Maxwell junior became medical advisor for the Eastern Asia Branch of the Mission to Lepers and also the Far East Secretary of the Mission to Lepers. In 1931, he also attended the Leonard Wood Memorial Conference in Manila that marks the beginning of the International Leprosy Association. Then during the Sino-Japanese war (1937-1945), Maxwell became general secretary of the International Red Cross for Central China. *1 “Siao Kan Leper Home” Opened by Dr G John in April 7th 1895 (Unpublished) The Leprosy Mission Archives, Brentford, UK. Editorial, The Leper Quarterly: The Official Organ of the Chinese Mission to Lepers, 1 (1927): 1-4. “A report of my trip to South China”, The Leper Quarterly, 1 (1927): 13-28. “Obituary” British Medical Journal August 25, 1951, p. 501.